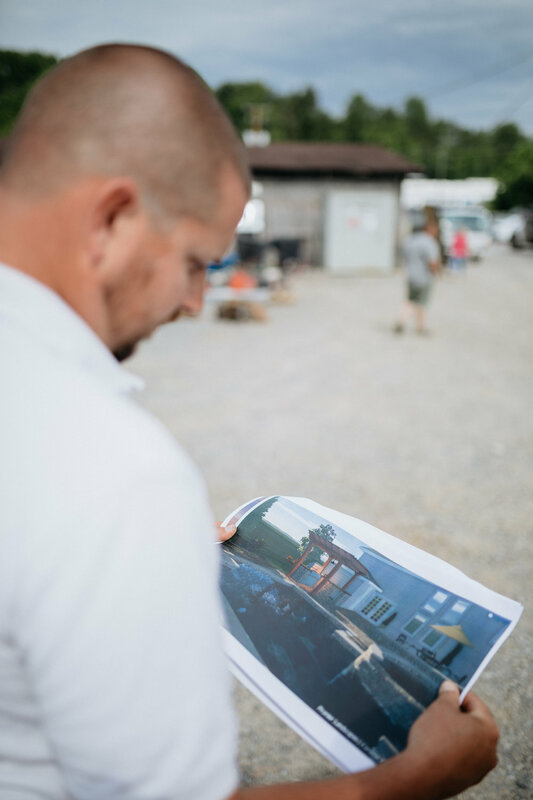 “We started out in 2004, renting a storage unit and using Randy’s dad’s garage,” said Jarrod Reed, who is one of the owners of Promier Landscapes, along with Randy Price. Now, Promier is outgrowing their building and land on Shipp Street in Kingsport and currently employees 45 people. Promier is a state-licensed, full-service landscape, hardscape and tree company. They design, build and maintain landscaping and hardscapes (patios, fireplaces, retaining walls) for any size job, from residential to large commercial and governmental clients. Not just a seasonal company, Promier also does snow removal and related work in the winter. Promier is a Tennessee Drug Free Workplace. Randy and Jarrod met at the University of Tennessee, where they both earned degrees in horticulture. Both of them started out by mowing lawns in high school. “One of the pool and patio areas we designed and built was on the cover of the Belgard catalog a couple of years ago,” said Jarrod. As you can tell from these pictures, Promier excels at turning a vision into reality. Photography by Peter Nelson Photography.